GSM up to EDGE is on 900 and 1800 Mhz like all over Europe and covers all of the country. 3G/UMTS is on 900 and 2100 Mhz up to HSPA+ speed (which is sometimes already called "4G") available in most of the country. 4G/LTE has been rolled out recently on 1800 Mhz only so far in cities and is free of charge with Plus, Play and Orange. 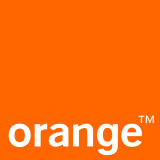 Orange and Plus still have an old limited CDMA coverage. But if you come to Poland a GSM/UMTS phone working on the 900, 1800 and 2100 Mhz frequencies is highly recommended. SIM cards can be bought at many places: shops, kiosk, newsagents, petrol stations, tobacconists or the stores of the network operators. Generally, a photo ID for purchase, but no registration of any kind is required. Managing your account online may require Polish language skills, as no English homepage is available. You can try Google Translate for navigating their websites. Nevertheless, the bonus system you have on a Polish SIM can be quite confusing to foreigners. Currently you can get mini, micro and nano SIMs. Although a nano SIM may be harder to get (but can be cut). Tethering and VoIP are available without any additional cost. The SIM card comes with a bilingual Polish/English leaflet. Managing your account online would require Polish language skills, as no English homepage is available. But since registration is not necessary, you can cope without. Plus has a very good coverage throughout the country on 2G and 3G while their 4G/LTE network is the most advanced nationwide right now: Plus Coverage Map. Effective 27/3/14 4G/LTE is available on prepaid with speeds up to 150 Mbps. Available starter packs "Startery Plus Nowy Internet na Kartę"
9 PLN - 300 MB included, SIM is valid for 10 days, top up to prolong. Any other Plus SIM card can be switched by typing *147*13# to this tariff. 4G/LTE is activated automatically for free (which is an ongoing promotion from March 2013). To top up your balance, log on at www.online.plus.pl with you 9-digit phone number and the last (!) four digits of your PUK or use USSD code *123# on your phone. Check balance on USSD code *121#. Overuse is charged by 0.01 PLN per 300 KB. By USSD code *121*11*02# the "night offer" can be activated. It gives you 50 GB high speed traffic in 30 days only in the night hours from 1:00 - 7:00 am local time for 10 PLN. Play is the smallest of the 4 network operators with the most agressive pricing. By the end of 2013 it had covered 80% of the population with 3G/UMTS on 900 and 2100 Mhz which it misleadingly sometimes calls "4G". Real 4G on 1800 Mhz LTE is only available in a few towns so far: Play Coverage Map (go to Internet. Their it shows "4G/LTE" which is UMTS and LTE combined! The bright purple area is 3G/HSPA+, only the dark purple 4G/LTE.). Play only has a few own 2G/GSM cells in the country covering only 20% of the area. For GSM calls it roams on the other networks for free. But this roaming is not available for data. Free starter with 300 MB. This can mostly be found and ordered only online. Activation is by USSD code *111*470*1#. The line is active for 30 days. Check status by *111*470#3. To prolong or add data, you need to top up. LTE can be booked for free by typing USSD code *111*471*1#. You need to have 30 PLN loaded when booking. Check map for only limited LTE coverage. Starter Play na Kartę Lubię to! This different product line can be bought for 5 PLN as a starter pack with the same credit on. Often when Play online is not available, this can be found anyway. The tariff must be activated by *163*7# and card is active for 10 days. To prolong, you have to top up which gives you bonus internet. LTE and the night offer are not available on this product line. T-Mobile Poland has a fair coverage on 2G and 3G in the country: coverage map. Prepaid data is up to HSPA+ speed where available. They sell their prepaid starter pack "Internet na karte" for 4.99 PLN with 500 MB included valid for 1 week. The validity of the card can be extended by recharges. daily rate for 2 PLN with 250 MB high speed volume.The daily rate is only debited when going online on that day. A day is a 0:00-23:59 hrs calendar day. Activation: *100*863#, status: *100*863#1, deactivation: *100*863#2 This is the default rate for data. When daily or monthly data is used up, line will be throttled to 16 Kbps. Pack will renew automatically if there is credit and not deactivated. Mobile Vikings is a Belgian MVNO operating in Poland on the rather patchy Play network. Their SIM card is available only online to be sent to a polish address with one of the packages loaded. According to their Facebook site, they send SIM cards abroad too, what others providers normally don't do. So this is an advantage, if you want your polish SIM before you travel to Poland, but it is a disadvantage, when you look for a SIM in Poland having no local address as there are no agencies selling them on location. Credit stays valid for 1 year, but bundle is valid for 30 days and expires 31 days after your last top-up, unless you top up before the expiry date. Top-ups can be made online using an international credit card. If you top-up before the expiry date, your remaining data and texts will be rolled over to your next period (max. 4 GB and 4000 texts). If you don't top up before the expiry date or go beyond the included data volume, you can still surf on the Internet, but only at low speeds (of around 32 kbps). The English operator Lycamobile opened its Polish branch in 2011. It is operating as MVNO on the good Plus network in 2G and 3G only offering data rates well below the network provider. For coverage see Plus above, though 4G/LTE is not yet available on Lycamobile in Poland. So if you don't need LTE, it may be the smarter choice. Their SIM cards are available for free in micro-, mini- or nano size in their outlets. They have many agencies around the country in newsstands, kiosks, supermarkets and online sent to a Polish address. Top-ups can be purchased there as well in 5, 10, 20, 30 ,50 and 100 PLN sizes. You are expected to make a top-up right away, as the SIM doesen't include credit. It's valid for 6 months without being recharged. For activation, send USSD code and press <call>. To check status dial *137#. These packages will automatically renew if there is credit. To stop, call customer service on 322 or dial *190# at latest 20.00 h on the day of expirery of the old pack. Default data rate outside of these packages displayed above is 0.21 PLN per MB. Username: lmpl (that's lowecase L, not capital i).